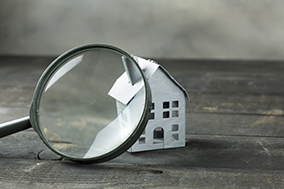 When viewing a home for sale, many buyers look at the property from a “macro” perspective. They ask themselves questions like: “Is it large enough?”; “Are there enough bedrooms?”; “Is it in a nice neighbourhood?” While those questions are important, it also pays to consider a potential new home from a “micro” perspective. Living room and family room. Are they large enough to fit all the furniture? Are the rooms conducive to family get-togethers and entertaining? Do you need a separate living room and family room? Kitchen. Is it important to have enough space to eat comfortably in the kitchen as well as the dining room? Does the kitchen have all the cupboard and other storage space you need? Will your fridge fit? Bathroom. Is the main floor bathroom uncomfortably small? Does the ensuite bathroom have all the features you desire, such as a large tub and/or separate shower? Do you need double sinks? Storage space. This is particularly important if you’re shopping for a condo. Does the storage space or locker have the space you need? Closets. Are there enough closets for your needs? Is there a linen closet? Garage. Homeowners use the garage for more than just cars. If you plan to use this space for storage or hobbies, check that the garage will be suitable for those purposes. Want more tips on selecting your next dream home? Call today!